Microsoft will soon own the company that provided the stylus and touch display interface technology for its Surface Pro 3, according to a media report. The company has agreed to acquire Israel-based N-Trig for $30 million, according to The Wall Street Journal. Microsoft already had a minority stake of 6 percent in N-trig, but apparently had been in negotiations to acquire the company for months. In February, Israel’s Haaretz newspaper said N-Trig was valued at less than $10 million, while Calcalist—which originally broke the story of Microsoft looking to acquire the company—reported that Microsoft would pay at least $200 million. Lenovo, HP, Acer and others are among the who’s who of PC makers that has turned to N-Trig for touchscreen and digitizer technology in Windows tablets and PCs. N-Trig has developed a controller chip and drivers for the Windows OS that drive its touch and stylus technology. 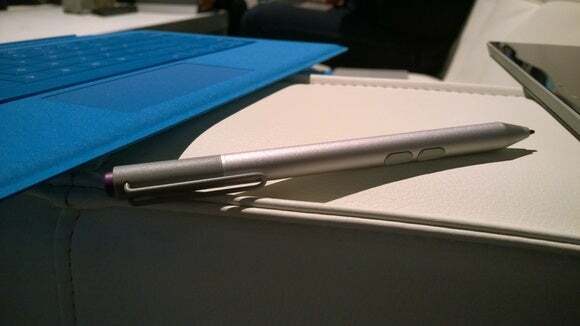 The stylus is important to Microsoft as it looks to incorporate handwriting recognition as a standard feature in applications like Outlook and Office. Microsoft believes that natural interaction are an important way to make PCs and tablets more useful. Microsoft next week will start shipping its Surface 3 tablet, which also the N-Trig stylus and controller. Microsoft and N-Trig did not immediately respond to requests for comment.